I love all the blogs that I am introduced to on the Secret Recipe Club. This month I had the privilege to peruse Tea and Scones. I found several delicious recipes, however I limited myself as this month I am eating a vegan diet. I chose her Garlic Fries. She said that she could devour these with just about anything and I completely agree! 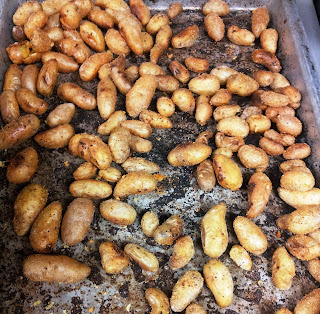 I picked up a whole bunch of fingerling potatoes at the farmers market. 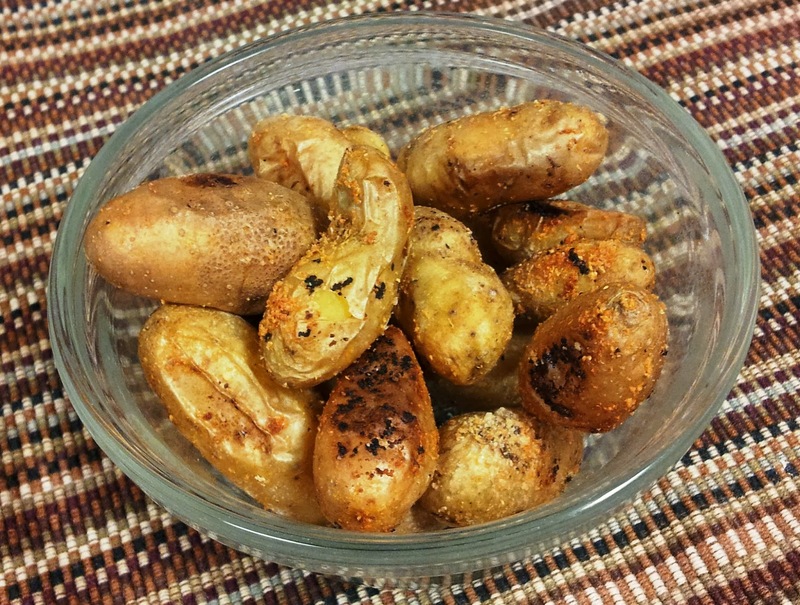 I am also avoiding oil so I just roasted these with water and no oil. The fingerling potatoes crisped up just fine without oil. 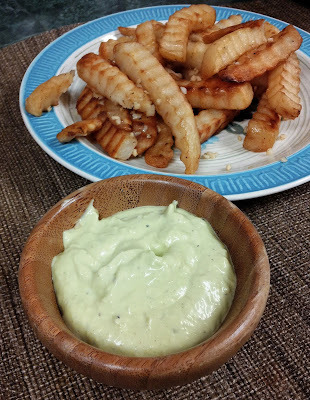 I made some frozen fried for the kids and they loved the garlic on them. I'm thinking that we have a new way to make fries now. This is day 23 of 30 Days of Vegan recipes. I am so loving this way of eating. Not difficult at all. Heat garlic cloves and a bit of water and water saute garlic for a minute or so. Set aside. Cut potatoes into sticks or use small fingerling potatoes. 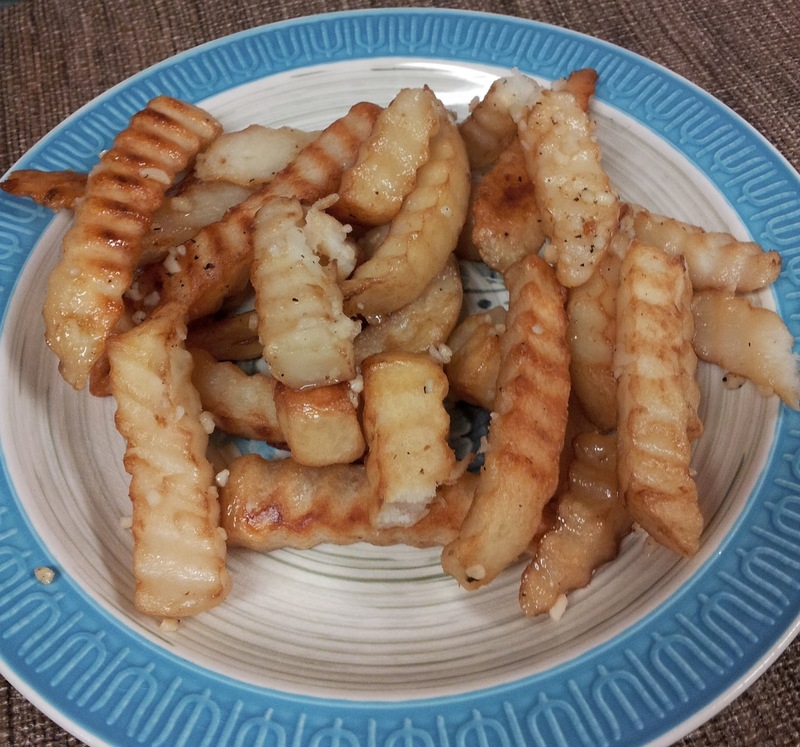 Toss potatoes with water sauteed garlic and sprinkle with garlic powder and salt. Toss to combine. Bake at 450 for about 35 minutes until potatoes are done. If you're using frozen fries, cook first according to directions and then toss with garlic, garlic powder and salt. Put back in oven for about 5 minutes. Alternate method: You can use a couple of tablespoons of oil on the potatoes as well.